How To Use Live Streaming For Business? Live streaming has opened new avenues for businesses to educate their audience and market their products. This form of marketing gives a new dimension to brand management and provides a more organic way for a business to engage their leads. 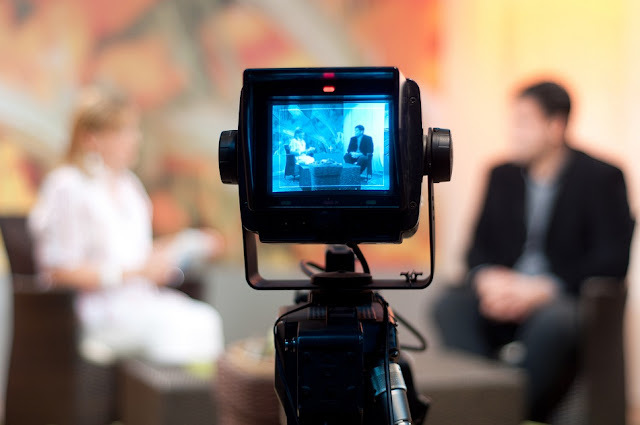 Whether it is about launching your product or giving your audience a real-time experience of your workplace, live streaming can be a handy tool in creating the right brand perception and promoting your products. Since time duration is no longer a rule on any social media platform, you can now create live stream videos without worrying about the time constraint. Let me share an example of Dunkin Donuts that has launched its campaign “DD Summer Soundtrack” across 8 different social platforms that include Spotify, Snapchat, Instagram, YouTube, Twitter, Vine, Facebook, and Periscope. The idea was to promote its iced coffee to the right people. There were five concerts hosted by the company that showed the performance of numerous musicians in real-time. In this way, not only the audience in the five cities could watch the concerts, but also the others who are tuning in from around the world. You just have to be smart enough in the market to run your campaign. Just make sure that you pitch your products to the right audience. Launching the campaign to the right market ensures the rapid promotion of your products and expand your reach in your niche market. Trademarks and firms are centered on people. In fact, “people” are one of the seven Ps of the extended marketing mix. However, companies tend to ignore this important factor and become too promotional. To engage more leads into your brand, you need to reveal the unknown aspects of your workplace. Speaking with employees will provide an inside look at your business and business values while interviewing the clients will lend credibility to your products. You can also engage your spectators by bringing on thought leaders to debate burning topics in your industry. The Verge is an online magazine that concentrates on technology, science, and culture. They run a daily episode on Periscope called “Let’s Discuss,” where they have a conversation about something they’ve covered on their website. Conducting such healthy debates can significantly improve your traffic. Mashable is another productive tool you can use to channel your brand using live streaming. Mashable streams debates and events about the similar topics that you’d normally find on their website. Constancy is key to engage your target audience. However, you need to recognize your audience and reply to their comments. If you’re streaming a live debate, you need to ask viewers for their feedback. If it’s an interview, you should let your audience ask questions or engage them in an open debate. People love the ‘behind the making’ types of videos that show the entire production process. Such videos not only show the production stages of your products but also creates a sense of trust among your clientele who can see the entire process of how you create your products. ‘Avenue Beads’ is a Chicago-based company that produces glass jewelry and artwork. The subtleties in their work require highest professional precision. So they take help of live streaming videos to let their viewers see the hard work that goes into the making of their products. Using the same philosophy, you can also make a live video of the entire production process that involves in the creation of a product. Let’s say, if you sell dairy products, you can live stream the different ways you treat the milk before it finally processed into the form of a eatable product. With live streaming video, you can show your audience what it takes to create a product from concept to packaging. It gives your audience many reasons to trust your brand. You can even use live streaming to train your customers about using a product. Using this technology, you can demonstrate a “how-to” process of one of your products. You can even conduct sessions where you let the viewers ask you questions about any feature of your product. This is a nice way to surge involvement because you’re showing people that you care about their views and sentiments. Similarly, you should respond to questions that can add value to your audiences. You should also mention the name of the person to make the conversation sound more personal. If you get comments from trolls or rude users, simply overlook them. ‘Bargain Hunters Thrift Store’ are a recent example of a brand that practice this method. With help of a live streaming video, they are able to answer questions of the people about their business and products. Similarly, Swedish Food TV has found a great way to pull in their audience using the live video. With this tool, they are able to share recipes of different cuisines and have Q&A sessions where viewers can ask questions related to the dish of the day. They also take benefit of Meerkat’s content-scheduling option by creating custom images with a ‘call to action’ pointing to the Subscribe box. Viewers who subscribe to a stream receive a notification on their smartphones when the event starts. With live videos, these organizations are able to answer questions that are a bit more delicate (such as questions about their political opinions). However, they first choosing a specific topic for the Q&A session instead of letting users ask random questions. This is a better way to set the course of the discussion. Besides, it helps them answer only relevant questions about their brand or products. Another way to use live streaming is to show users BTS (behind the scenes) of something they feel inquisitive about. In a video from NBC News Los Angeles, co-anchor Adrian Arambulo takes the audience for a quick stroll around the studio before the 11 pm bulletin. Adrian reads comments and replies to them while showing users the different areas of the TV studio from the coffee machine to the anchor desk. Similarly, Mercedes-Benz makes their audience part of a photo session for their ‘S-Class’ model by uploading the images on their online channels under the hashtag #MBEP15 which gives users a clue of what happens on both sides of the camera. You can even take out your team for outdoor shooting to give a natural feel to your video. Anything that provides a different point of view to your products is likely to press the buttons of your audience. You can inform your audience about the history of your business. You can take them through a visual journey of how it all started. For example, you can show pictures of the predecessors of your business and how they managed to set up the company. You can even share some interesting facts or anecdotes to engage your audience. A great example of this is Benefit Cosmetics’ “Tipsy Tricks” every Thursday at 4:15 P.M, where they display viewer’s tips and tricks on how to put on makeup. In addition to the educational features, the hosts ask their spectators what product they would like to see used in the lesson. By doing so, Advantage not only keeps spectators involved but the company also learns about their audience’s product likings and pain points. If you run a brick-and-mortar business that clients can walk in, you can attract the leads by showing the real-time broadcasting of your store facility. Using live-streaming video, you can take them to a virtual tour of your store, interact with your floor managers, and show the clients the things they can anticipate when they come to your store. If you want people to be the part of your upcoming products, then Live streaming is the thing you should be looking forward to. General Electric became the first company to live stream on Facebook when it launched the ‘Chevy Bolt EV’ at the Consumer Electronics Show earlier this year. The live broadcasting of the launch of the car created widespread hype and attracted over 56,000 views and nearly 850 comments from audiences. Live videos can help you show the fun side of your organization. Barstool Sports, a popular sport-based podcast company recently had some of their employees watch the first 2016 Presidential Debate live and provide an ongoing commentary. It was the fun element in the commentary that attracted more than 175,000 viewers. The Live streaming video offers apparently infinite options for attracting your potential audience. You too can tap into the potential of this powerful tool by applying the aforementioned ideas to hook your leads. You can even run different sessions to find what resonates the best with your viewers. Catherine Daisy is a Digital Marketer, Public Speaker, and a Blogger. In her free time, she likes to engage with his audience through live videos via Facebook and Instagram. She is also a pro academic consultant at assignment writing UAE where she renders his mentoring services for writing any type of assignment.